At one time Hugh Hendry, manager of the Eclectica Fund, used to write monthly commentary and distribute a full attribution for fund returns at the same time. Now he writes manager letters of some length periodically, but still informs his investors about risks assumed and how the P&L has been shaped on a monthly cycle. This month he has returned to his great theme of the last few years in writing about the Great Debt Deflation he sees. Whilst a substantial minority of the manager commentary is on Japan, this extract is about the situations elsewhere. I fear that a later generation might see the Fed’s initial stab at quantitative easing as tame in contrast to our squeamish reaction to it. They might guffaw, “two trillion dollars, how quaint. And they thought that might produce inflation! ?” For a not so distant future generation may bear witness to far greater monetary debauchery. This has been my argument in April 2009. Given the impediment of such a large quantity of private sector indebtedness, I speculated that should the global economy suffer a further debilitating setback over the course of the next two years, the Fed and especially its acolytes at the Bank of Japan would print much, much more paper money. And only under such dramatic economic circumstances would we establish the pretext for a truly gigantic monetary intervention which would surely undermine the fiat system. Today, however, we are learning that additional money, perhaps $600bn, is to be printed even without the occurrence of a serious crisis. This has come as something of a surprise to me. I had thought that intense scrutiny and political discontent from the US Congress would have tempered the ardour for such intervention. The QE announcement has also produced a rise in the risk premium associated with term structure. The yield on the ten year Treasury has shot up from just under 2.5% in August to almost 3% in November. Yields on government bonds with shorter tenors (where we have directional exposure) have also been dragged up as the market factors in a heightened probability that QE2 will lead to a rise in policy rates sooner than had the Fed shown greater restraint. This has proven detrimental to the Fund's short term performance. Yet despite it all, I remain persuaded by the argument that the additional proposed easing is not a tipping point and accordingly on its own is unlikely to do much to alter the course of US or western inflation. Perhaps I have some explaining to do. Evidently there is an all-out war being waged between what we might refer to as the Fed’s fiat money (the ability to increase dollar banking liabilities), and the private sector’s debt-based money (the willingness of the private sector to hold dollar banking assets). The market favours the prospect of fiat printing winning. Perhaps the outcome is a foregone conclusion. However, I continue to argue that the odds seem stacked against this outcome occurring in the short term. Consider that the US authorities are battling against the $34trn of gross debt added by the private sector since the start of Greenspan's tenure as Fed chairman in 1987. 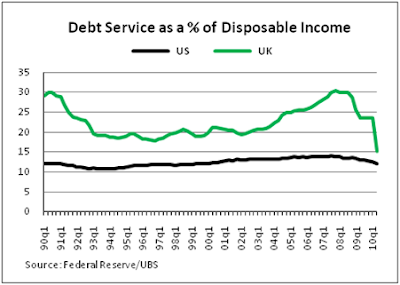 This is a formidable obstacle to quantitative easing as it added only $9trn to income and has therefore left the private sector with misgivings as to its on-going ability to service such a huge quantum of liabilities, never mind add to such exposure. The crucial question is how much of this lift in income is a recurring flow, a product of wise investment spending, and how much was debt fuelled asset speculation with little capability of servicing interest payments and principal repayment. 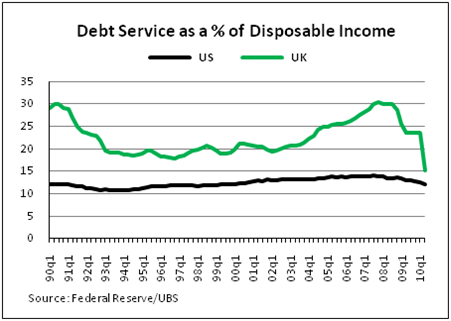 This is especially pertinent because, as the chart reveals, despite the helicopter money drop of last year, the ratio of private sector liabilities to Fed-induced base or fiat money (M2) remains elevated by historic standards. For instance, it is twice the level that prevailed in the 1960s and three times the level of the 1950s. No one has really addressed this issue except Professor Steve Keen in Australia, who is starting to win much justified acclaim. He compellingly argues that some form of aggregate demand analysis is especially apt in describing why the Fed’s initial dalliance with $2trn was insufficient. Defining demand, or total spending in the economy, as nominal GDP plus the change in gross public and private sector debt, total spending in the US shrunk from $18.2trn in the year concluding in the summer of 2007 to just $13.9trn this year. Effectively, the US economy has spent $4.3trn less on the purchase of goods, services and assets (houses, shares, hedge funds, private equity investments, etc.) despite the rise in gross debt from $47.5trn to $52trn. In other words, monetary and fiscal accommodation have been overwhelmed by the 10% contraction (much of it involuntary and taking the form of default) in the private sector’s debt-to-GDP ratio from its peak of 3x in early 2009. Recognising this vulnerability, the actions of the Fed since the onset of the crisis are easier to comprehend. With such a large quantum of debt it was imperative to reduce the cost of servicing it. Policy rates were cut to zero. However, the Fed’s aggressive interest rate cuts had only a mild impact on the servicing of household debt in America with its preponderance of callable fixed rate mortgages. The effect was more pronounced in the UK where mortgage lending was predominantly variable and rates were previously priced off the one-year swap with only modest additional term and counterparty premium. Arguably, the institutional differences between the two countries’ mortgage markets made QE almost inevitable, in the US at least. Last year the Fed bid for probably a third of the outstanding stock of ten year Treasuries; the Fed’s holdings climbed from $450bn in early 2008 to $767bn at present day. But they had to concentrate the majority of their ammunition on purchasing mortgage backed securities, buying over a trillion dollars’ worth, to ensure that the cost of servicing the household sector’s debt would not rise on the back of elevated risk aversion in the banking sector. I salute this round of easing. Unfortunately, in my humble opinion, the additional monetary stimulus, takes the Fed back to dancing around a bubbling cauldron rubbing two chicken bones together. For flush with their success in having reversed the negative trend in nominal GDP, the Fed’s ambitions seem to have soared. Bernanke has publicly reasoned that they should go further and boost the economy’s animal spirits in order to increase aggregate demand in the economy. The implicit thought process is that if they could only encourage the private sector to believe that the trend in rising asset prices will endure then perhaps speculators will once more volunteer to risk taking on more debt, secure [?!] in the belief that higher future asset prices will allow for it to be repaid in full. This reasoning, whereby the stock market acts as a contributory factor to GDP growth, invokes parallels with Thomas Huxley's The Principal Subjects of Education. Sometimes it seems that next to being unequivocally correct in this world, the Fed has concluded that the next best of all things is to be clearly and definitely wrong. My greatest complaint however is that the Fed is producing a plutocracy by demonstrating that they are willing to go to all lengths to prevent a market inspired liquidation of the economy’s bad debts. This is what happened in Weimar Germany. Huge private fortunes were amassed during a time of little economic prosperity, exactly what has transpired in recent years in Britain and America with the rise of hedge funds and private equity firms. Success with money has become intimately connected with inflation – people have got rich not through productive, wealth-creating activity, but because they bought a house or stock at a time when general asset prices were rising. We have confused talent with being bullish. Into this fray stepped a prominent and hugely successful (if somewhat uncomfortably brash) hedge fund manager who proclaimed himself the leader of this red-light gang. In his call to arms he claimed that making money was "so easy" and “you can’t lose.” You see, he has influential friends at the Fed, at the People’s’ Bank of China, at the Bank of Japan, at the Bank of England, the IMF and the ECB. He has so many friends...if the economy improves from this uncertain economic patch, supposedly a mid-cycle breather, then equities will make him money. But if it reverses back into its torpor, and he gets caught on CCTV in places he shouldn’t be, then don't worry. His friends will bail him out with their monetary largess; heads he wins, tails he wins. I believe his swagger and confidence moved the market (the global MSCI jumped 9.1% in dollar terms in September). But what is good for my exceptionally talented hedge fund friend is not necessarily good for the rest of us. Let us consider the malady afflicting Europe. The euro project has not gone according to plan. It reminds me of the story of the James Bond character Q, based on the British intelligence officer Charles Fraser-Smith. It was he who invented a compass for spies hidden in a button that unscrewed clockwise. The contraption was based on the simple yet brilliant theory that the unswerving logic of the German mind would never guess that something might unscrew the wrong way. This is really what happened with the Euro. New member states were supposed to take lower interest rates and invest their resources wisely to improve and deepen their productive capacity. Instead, they used the advantage to finance speculative asset bubbles. The world screwed them the wrong way. The Germans are unhappy. But, desperate to cling to the euro project, the other European sovereigns have opted to default on their spending promises to voters rather than impose a haircut on their financial creditors. In the 1920s the payoff structure had been very different. The First World War took an intolerable toll on the typical household both in terms of the loss of life and financial well-being; everyone had become poorer. Accordingly there was little willingness on the part of the ruling political class to force austerity measures to redress the fiscal imbalances. The people had suffered long enough. Consequently, there was much procrastination and fiscal deficits persisted way beyond the end of the War, making capital markets reluctant to accept government paper and forcing the sovereign to rely on the central bank’s printing press. This time around however the political class has concluded that the Greeks (especially the Greeks!) and the other peripheral states have done so well on the back of the euro project that it is their turn to shoulder the burden. They calculate that the social pain would be less severe than the financial costs of a debt default and/or a euro exit. Of course this is to neglect the financial consequences of bailing out the banks in 2008 and the ensuing impact on the ordinary household. Can an analogy be drawn between war and the banking bailout? Certainly both events had a disastrous impact on the sovereign fiscal balance and consequently the social mood darkened considerably. Emotions clearly run high and the term speculator has become pejorative. Ireland is indicative of the social pain. Nominal incomes in that country have already fallen 14% and the working population has endured job losses and wage cuts. Their reward for all this is a second austerity package. The average household is now being asked to pay a new property tax and an additional $4.1k annually in income tax (that’s 7% of per capita income), plus minimum wages are to be slashed and further job losses are a virtual certainty. The country itself is only held together by the unintelligible premise that the economy will grow by 2.75% per annum for the next four years. Dream on. I believe the European bureaucrats have badly misjudged the public mood. Perhaps they are too closely aligned with the plutocracy of the financial and banking sector. Contrast the mood of the ordinary household with that of my hedge fund billionaire friend. Today the average European long/short fund is running its most bullish risk exposure in many years and is feeling ebullient regarding the rising tide of corporate profitability as businesses pare back employment levels. My grumble is that I suspect the omnipotent powers of my peers’ central bankers might be found wanting just when they are needed most. I have always held the view that Europe will have its Asian Crisis moment when the popular mood in Germany rejects any further bail-outs and concludes that it is every one for themselves. And with the precedent of Germany, quite rightly in my opinion, of insisting on the imposition of financial creditor haircuts, I believe the “sunny” monetary prophecies of such hedge fund inflationistas could be held in check over the course of the next two years by significant deflationary risk emanating especially out of Europe but also out of Japan. I’m especially positioned for the latter. But before exploring what that might entail, I need to comment on the current inflation debate. Let me be succinct: QE1 succeeded. In combination with the largest fiscal stimulus in sixty years, the economy reversed its freefall. If there was any failure it rests squarely with investors’ fear that the rate of price inflation would accelerate; it has not. For just as Jesus failed to turn up on the 22nd of October 1844, a modern generation of Millerites has had to bear witness to another dramatic and troubling no-show. The Fed's hotly contested money printing scheme has failed to generate the prerequisite rate of inflation, never mind the hyper-inflation expected by some market seers and academics. Indeed, despite the hysteria, core prices in the US economy are rising at their lowest year-on-year rate since the series began in 1957. Inflation, at least as measured by central bankers, has not proven to be a monetary phenomenon so far. Unabashed still, our contemporary Millerites admonish inflation’s refusal to return by arguing that it is with us if not physically then certainly in spirit and point to the rise in commodity and asset prices and the simultaneous weakness of QE currencies such as the dollar and Sterling. But are they not confusing a rise in relative prices with a rise in general prices? The British experience is especially confusing: in March 2009 year on year retail price changes fell below zero for the first time in 50 years but today they are rising by almost 5% year-on-year. Which is the more telling figure? I am sympathetic with the central bank argument that the weakness in the currency has raised the price of imports, which represent a third of total spending, and that food and energy price hikes, as well as the increase in VAT, are deflationary. And, with no evident monetary expansion in the UK, these relative price hikes serve only to moderate the demand for domestic goods and services. This proved to be the British experience following the pound’s ERM eviction in 1992; why should it prove any different in 2011 with such on-going paralysis in the banking sector and the most severe public-sector squeeze in fifty years? Nevertheless I am acutely aware of my contentious posturing. I accept the inevitability of inflation. Indeed I refuse to acknowledge its presence in the UK price series, and I stick doggedly to fixed income strategies that assume no change in central bank target rates. Furthermore, I do not disagree with the prevalent Friedman logic that, “inflation is always and everywhere a monetary phenomenon.” So what gives? 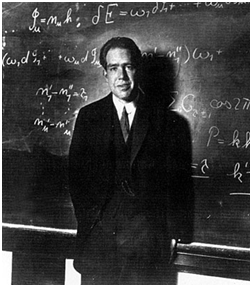 Consider the quantum theorist and Nobel Prize winner Niels Bohr, who noted that the opposite of a profound truth might well be another profound truth. Could it be that applying the logic found in Bohr’s quantum physics, one can suggest another profound truth? With the prevailing level of private sector debt many times greater than historic norms, sustained de-leveraging by corporations and households necessitates that the amount of public sector fiat money printing is so huge that the required inflation is always and everywhere a political phenomenon resulting from a serious economic malfunction in order to legitimise the actions of the central bank? That is to say that without a further economic crisis, the central bank never gains the political goodwill necessary to intervene sufficiently to reverse the decline in the rate of general price increases across the economy. Goethe apparently wrote that Hamlet was a man asked to do something that seemed impossible for him to accomplish. The Fed’s mission seems equally intolerable. They have printed $2trn and yet the US is close to outright deflation on the core CPI measure. Does this institution truly have the mandate to print the necessary quantum of money necessary to change the course of prices? The truth is I couldn’t guarantee it…Neither of us should have tried to predict the future. The world of investment has parallels with theology. Repetition and the passage of many years, especially a decade, can transform the rational into the fanatical. I think we are approaching the end of a chapter that began with much cynicism directed towards China and commodities and is closing with fervent devotion. As an example, the gold price has risen more than fourfold since 2002 and has climbed every single calendar year for the past decade; only the twelve year sequence of consecutive up years from 1978 to 1989 in the Nikkei can beat it. I have no beef about gold, but how likely is it to be the next big trade? Of course I’m still on the dark side. A number of western economies have yet to surpass their nominal GDP highs of 2007 and I am not persuaded that this is a typical economic recovery that requires double-dip considerations; it feels like a mild depression to me. The debt of the private sector remains too high and as the events in Ireland highlight it can even hobble the security of the sovereign. Why is it so contentious therefore to declare oneself cautious if not downright pessimistic? Could the next great trade be a bear trade? We have a number of such trades that all have asymmetric payoffs and are largely predicated on the notion that there are no policy prescriptions for a debt deflation. Accordingly the astonishing profits of the carry down trade in Japan in the 1990s remain our fascination and focal point for our rate trades. Simply put, we think the market is overstating the risk premium of the term structure. That official policy rates are unlikely to rise for some time in Europe and the US. But I also cannot completely shake off the analogue of the 1920s/30s. In 1929, global economic growth was to be found almost exclusively in the creditor country, America. From 1927 to 1929 the debtor countries of Europe struggled to reconcile the savagery of austerity cuts without having recourse to a weaker currency. The fixed gold standard offered no redemption to soften the tremendous social costs of unemployment. And when domestic demand finally faltered stateside, the decline was made more dramatic by this lack of offsetting economic growth elsewhere. Today of course the analogy runs true with the Asian countries, especially China, representing the only story in town. But the comparison breaks down when it comes to assessing how pro-cyclical the Chinese have been in thwarting the steep recession of late 2008. According to the thirties analogue the Chinese should have displayed monetary hawkishness concerning their domestic speculation and soaring asset prices. But this time around, the dominant creditor has shown great monetary extravagance and as a result global GDP growth is bounding back. The only hope for my analogue comparison is the recent Chinese hysteria concerning the Fed’s QE2 program. I find the very vocal Chinese admonishment of the Americans strange. Sure they own over a trillion dollars of US short dated Treasuries and the value of this asset is vulnerable to inflation. But so what? The Chinese are not running a fixed income hedge fund; there is no consideration of two and twenty. Indeed I would happily wager that they would accept an almighty paper loss on such securities should it underwrite a robust cyclical economic recovery for their largest customer, the US. Remember all economic policies in China are predicated on maintaining the Communist Party’s hold on power. The true nightmare for the Chinese has to be a prolonged Japanese style recovery in the west where US nominal GDP fails to grow beyond its debt fuelled peak of 2007/8. Arguably their QE2 misgivings say more about their anxiety of food price inflation taking root and threatening their precious social cohesiveness. As other interventionists have learnt much to their chagrin, you can game the monetary system but you cannot beat it. China’s insistence on undervaluing and managing its currency whilst capital flight to its shores pushes more freshly printed renminbi back into its expanding banking system is evidence of the international economic order seeking equilibrium if not through the external value of the renminbi then through higher domestic Chinese prices. The Chinese have been the global economy’s magic tooth fairy these last two years, absolving us from our economic sins and making the fallout from the crisis of 2008 more manageable than bears like myself thought possible. But it is just about possible that their benevolence is changing as they seek to rein in their own domestic price inflation. Charity to strangers has come with a cost and their bureaucrats are frantically twiddling their knobs to cool the monetary system down. The danger is that a credit bubble when starved of its marginal credit soon exhibits a sudden and sharp reversal in asset prices. So the time is nearing when we might experience the world’s two most successful creditor nations (Germany and China), seeking, if not a purge of the rottenness, then certainly its moderation. This is an environment rich in policy error contingencies and justifies, I believe, your ongoing and much appreciated investment in the Fund. This extract appears with the kind permission of the author.